How can complex systems be visualized in order to gain new insights? 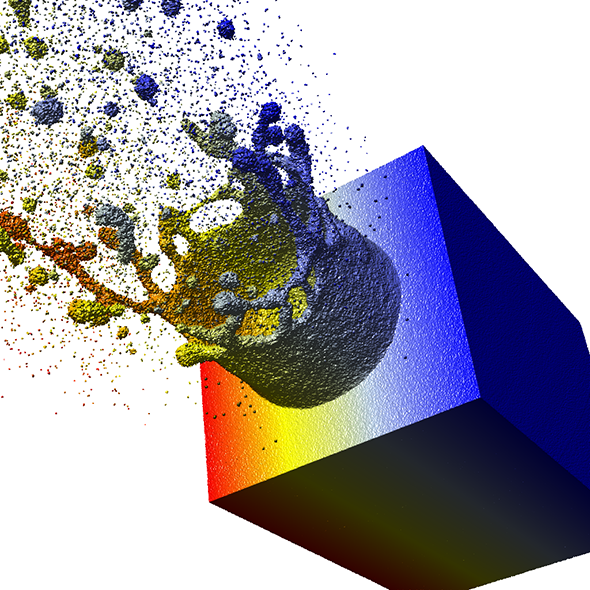 When researcher explore matter using simulations, they generate enormous data consisting of so called particles. These particles represent atoms over the simulated time, forming so called time-based data sets. Often, there are additional properties included such as pressure, temperature or charge. To evaluate the data sets, the sub project D3 develops methods for visualising the data and for efficiently storing the generated output. Here, real time rendering, displaying many images per second for interactively exploring the data, is a special challenge. Another challenge is the representation for the researcher who need to a specifically suited visualization for their application and problem.